We've all heard of the Miracle of 34th Street, and will probably see it at some point this month. We watch the film to rekindle that feeling of awe and that belief in miracles each of us experienced at Christmas at some point in our lives, before life jaded us. 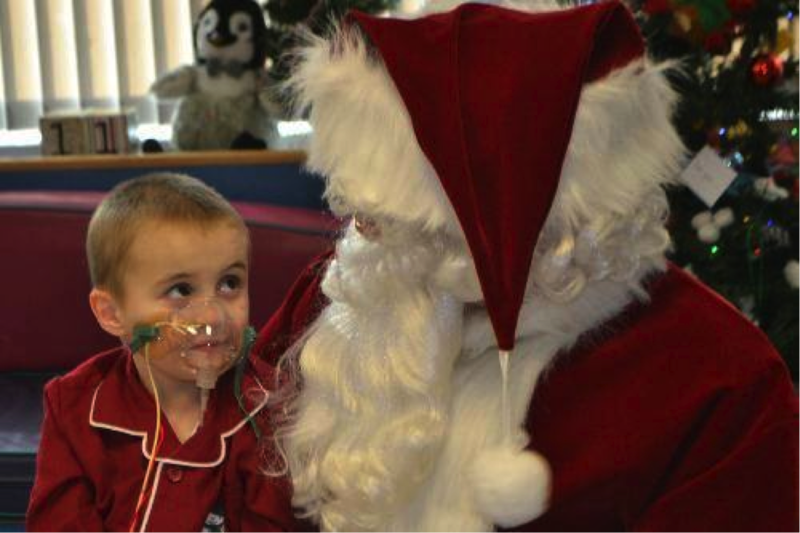 As much as we watch movies about Christmas miracles each holiday, few actually experience one. This past week, in the early hours of December 12. 2013, I witnessed a true Christmas miracle come true for a seven-year-old little boy -- right on 34th Street in Philadelphia, Pennsylvania. For almost three years now, Weston Keeton has called the Children's Hospital of Philadelphia home. Fighting heart disease and pulmonary hypertension for most of his life, his body was wearing out. During his treatment, the Keeton family has been separated in ways that no family should ever be. His father Adam remains in Tennessee to continue working while his mother Julie has made Philadelphia her home away from home with her six other children, ranging between the ages of eight and almost two. Adam and Julie have had to send their other children to an extended family member's house during their ordeal while they tend to a critical Weston. When you look at their faces and their smiles you cannot deny that those children are loved beyond belief, and miraculously have not been affected by the turmoil heart and lung disease has caused their family. Although it has meant missing birthdays, life milestones, and this year even Christmas, the Keeton family has made these sacrifices in the hopes that, one day, they will permanently be together again. On December 12th, their hope started to become a reality. 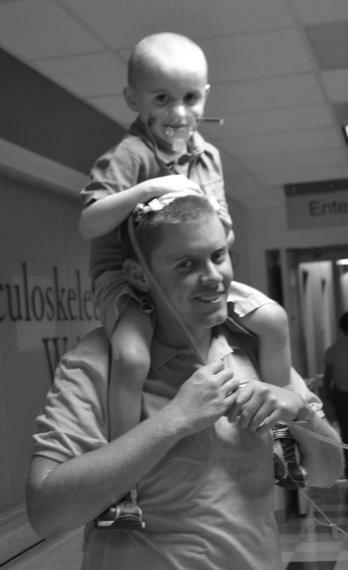 The only way Weston would live to see another birthday was if he received a heart and double lung transplant. With over 118,000 men, women and children waiting for a life-saving transplant in the United States, the family knew that it would be a long road. There was also a double edge sword that dug deep into his parents. In order for their son to live, another child had to pass away. Their only hope was for a family in their darkest hour to consent to organ donation of their child. Each day as they prayed for a miracle for their son, they prayed for their future donor family -- a family they may never know. Around midnight of December 12 Weston's parents were told CHOP had found the perfect donor, and that if all went well, their son's transplants would take place a little after sunrise. As doctors and nurses started to execute a plan they'd been preparing for years, Julie did what she had been doing for all along: she prayed while rubbing her son's back through the wires that kept him alive as he tried to sleep (pictured at top of post). 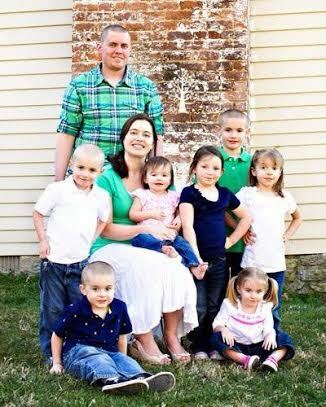 She not only prayed for what was to happen to her son, but for the donor family. The family that was now forced to make funeral plans instead of Christmas plans. The family that would be forced to write an obituary instead of a letter to Santa. As a mother who had planned out and prepared herself for her own son's funeral in case the call of the transplant never came, her heart ached. Every time someone came in to wish her well that morning, she asked them to pray for the donor family. Pray for the family that will be responsible for putting her family back together. For the family that will give her son the ultimate Christmas gift: a chance to grow up. Throughout the morning, the calls kept coming, from the announcement that the recovery was successful to when they found out that the ultimate Christmas presents had finally made it to the hospital. The CCICU was filled with love, nerves and prayers that night, as we all knew a miracle on 34th street was unraveling in front of our eyes. For a seven-year-old about to face a surgery he had been prepped almost half of his life for, he was the picture of brave. Not a tear rolled down his cheek as nurses bathed his little body, added even more wires to his bed, and rolled him down the winding hallways of the 6th floor at CHOP. All he wanted was to be promised that he could drink lots of water after surgery. Doctors and nurses who struggled to keep him alive the past few years were reveling in the joy of watching the events unfold. "It's your turn Weston, today it is your turn to get your new heart and lungs one of the many brilliant members of medical team kept reassuring him. As they turned the corner to operating room, we all looked at each other knowing there was no turning back. It was truly in a higher power's hands. Almost a little over 12 hours from when the life-changing phone calls began to transpire, Weston was out of surgery. His new heart was beating strong and his new lungs had gone in smoothly. He had gone through his transplants without a hitch, something that no one had anticipated from such a sick little boy. For the first time in his life, his parents are watching his chest move up and down at a normal pace. No longer is he struggling to breathe, no longer is an oxygen mask covering his little face. The road to Weston's recovery begins as his body learns to work with his new organs. During this road of recovery, every family member and friend who prayed for Weston's miracle of life will continue to pray for the donor family. We will pray that they will be able to find solace in the fact that their consent to organ donation allowed their child's legacy to continue to touch the world -- not only through them but through their child's recipients, for one organ donor can save the lives of eight people. We hope that people will become registered organ donors so that one day, once their time is finished on this Earth, they can give the gift of life. This Christmas season will always have a special meaning for the Keeton family and those who experienced the morning of December 12 with them. They will be able to tell the story of the Christmas miracle. The miracle of life that happened on 34th street, where hope truly lives. To read more about Weston Keeton, visit his blog or join his Facebook Group. You can register online as an organ donor by clicking here.